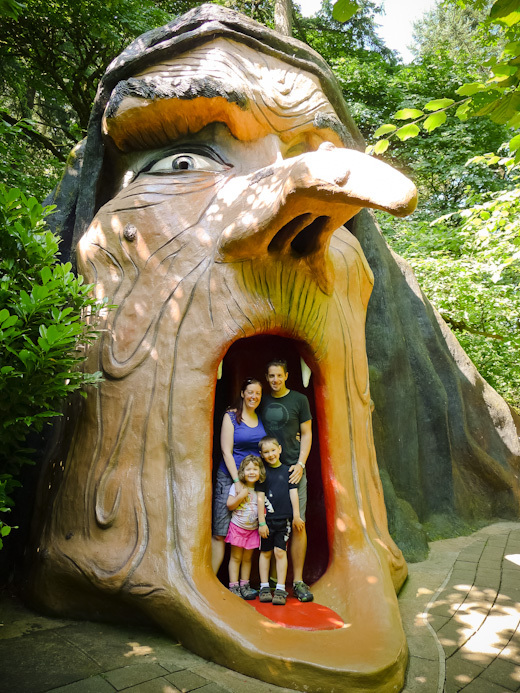 Saturday was Will’s 6th birthday so we spent the day with some friends and family at the timeless Enchanted Forest! We took a similar one although ours only has three of the four of us in it. 🙂 Cute. Thanks for sharing the day with us our kids had a blast. look at the size of that mouth????? What fun everyone musta had! !